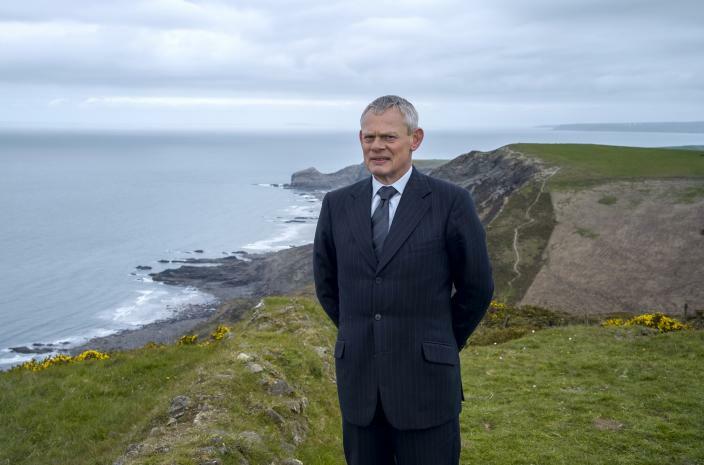 Everyone’s favorite grumpy GP returns to Cornwall this week as filming begins on season 9 of Doc Martin. 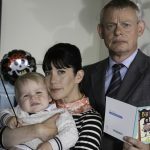 While series producer Philippa Braithwaite alluded recently in an interview with Tellyspotting that filming would begin soon, ITV officially announced on Monday in a release that, headed by Martin Clunes as Dr. Martin Ellingham, all regular cast members are on their way to Cornwall’s idyllic fictional hamlet of Portwenn to begin work on eight new episodes. According to ITV, season 9 will be a challenging one for both Martin and Louisa. The Doc’s career hangs in the balance with his future as a GP under scrutiny from the General Medical Council following complaints about his rather brusque approach to patients. Louisa has resigned from her job as headmistress at the local school to pursue a new career in child counseling. Having been a part of the Port Isaac / Cornwall community since 2004, the Doc Martin team was recently recognized by Cornwall Tourism, which presented them with a special award for outstanding contribution to tourism. To date, the funding has helped to support the Port Isaac Village School and its nursery, with transport for swimming and after-school clubs. It has supported the Village Hall, provided disabled access to the hall, and helped to arrange transport for outings, speakers and meals for local pensioners. 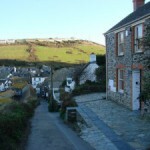 Funds have also been used for the Christmas lights in Port Isaac, and to set up an arts group. 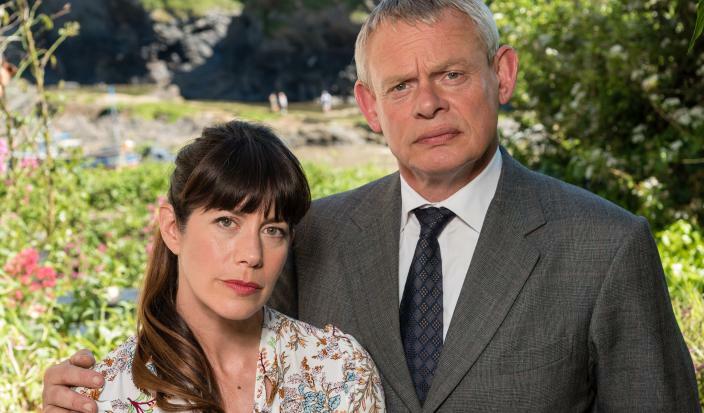 While there has been no word or even a hint of a word that this will be the last season of Doc Martin, let’s hope the series continues to showcase Cornwall’s stunning coastline for years to come.